A 2007 survey of police officers ranked the speed radar sign number one for having the most immediate and longest lasting effects on safe driving speeds. 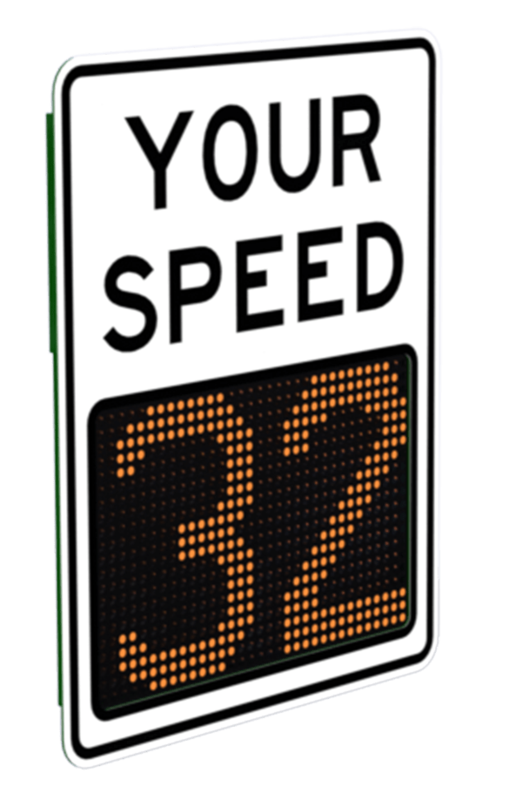 Speed radar signs require an initial investment in equipment but have been proven highly effective in lowering average speeds and improving roadway safety. They are an easy to deploy method of calming traffic in problem areas when other means of slowing traffic are inappropriate. 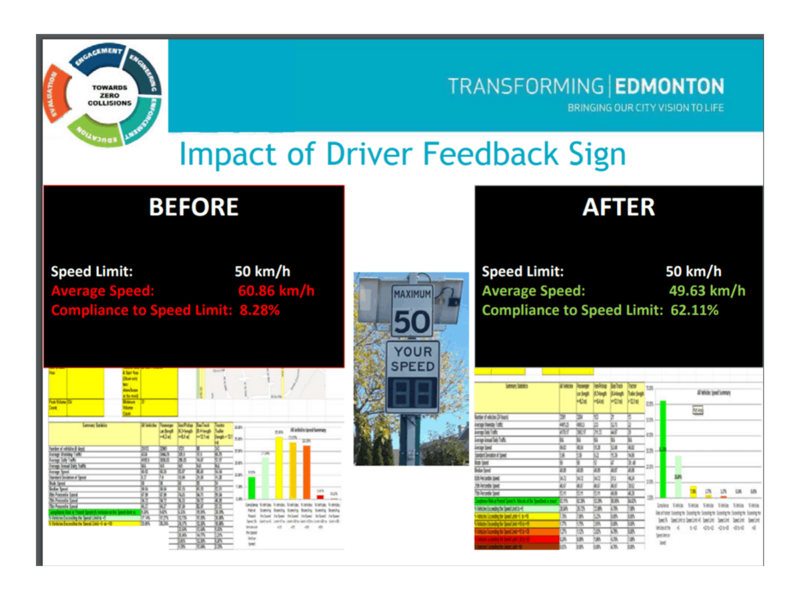 Like Edmonton Canada; City, County and State Police Departments can agree and show statistically that the use of Driver Feedback Displays ultimately reduces the frequency of speeding motorists. 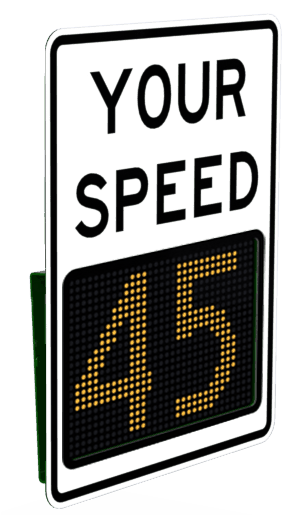 Drivers have an inherent reaction to seeing a flashing display of their speed. That reaction being, an immediate response to apply the brake. Why? Focus Groups explain that a real or perceived threat exists after drivers realize that a sign they’re approaching is now flashing as a result of their action. Who’s watching? Am I being photographed? Is this recorded? Is there law enforcement ahead? Am I getting a ticket? All of these reactions and thoughts, leading up to the braking response occur instantly, and are often associated with Traffic Calming. 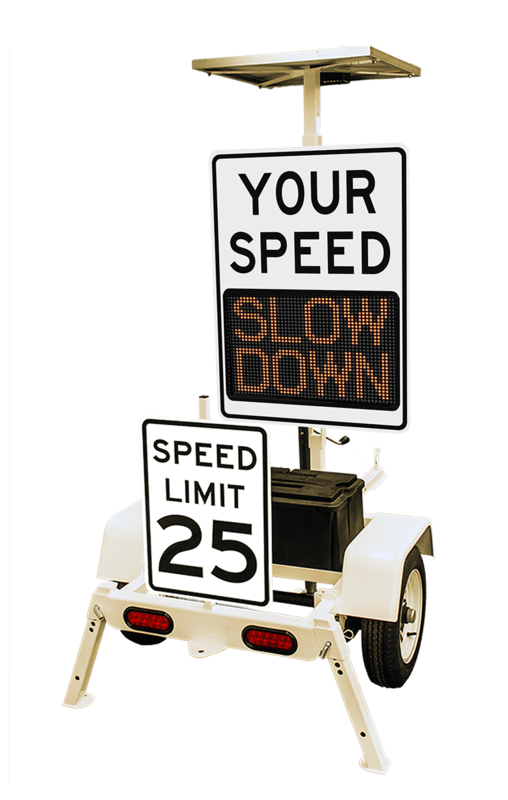 Designed for use with TraffiCalm’s iQ1200 or iQ1500 Driver Feedback Signs.